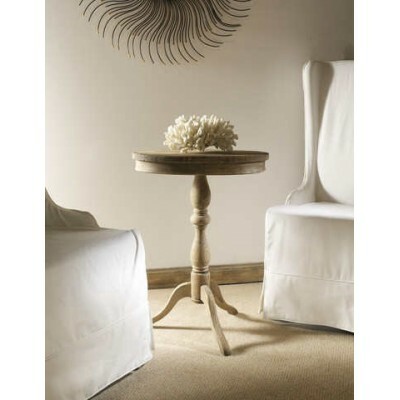 End tables typically serve as a perch for laps and or beverages at the end of a sofa, but they play an important role in giving a living room décor a finished look. Our collection of unique side tables come in light, dark and bright finishes and are made from a variety of textures including metal, wood, wicker, and glass. Because they are similar in size and purpose, you might also consider broadening your search to include accent tables and nightstands to find the perfect piece for your décor style. Acrylic End TableAlf Side Table from Pacific Home Furniture is a perfect end table for any ..
Table Base With Glass- Naturally rustic and eco-friendly, this table from Pacific Home ..
Bamboo Side Table- Pacific Home Furniture’s naturally rustic and eco-friendly tab..
• Three Drawers • Bracket Feet • Quarter Round Bead Trim • 33H..
• Tapered Legs • 27H x 20W x 20D**This product is custom made and ships in 8 - 1..
• Turned Legs • 1 Drawer • 29H x 22D @ Top **This product is c..
Gold Leaf Side Table A contemporary design, this Gold Leaf Criss Cross side table&..
• One Drawer • Wood Knob • 24.5H x 24W x 27D**This product is custom made and s..
Gold Leaf Accent Table Gold leaf accent side table with a mirror top. DIME..
• Door Opens for Inside Storage • Wood Knob • 28.75H x 23W x 21D**This product ..
Wood End TableThis Salvaged Wood End Table from Pacific Home Furniture is artisan crafted with m..
Side TableThis Salvaged Wood Side Table from Pacific Home Furniture is artisan crafted with meti..
• One Drawer • Two Doors • Wood Knobs • One Adjustable Shelf • 32H x 26..
• One Drawer • Wood Knob • 30H x 20W x 20D**This product is custom made and shi..
• Beadboard top and shelve • 21H x 18W x 18D @ Top **This product is custo.. Tide Tray Table - Coastal Cottage Collection• 3 Tier Beadboard Shelving • 36H x 28W x..
End TablePacific Home Furniture’s tropical colonial-inspired Trinidad End Table is a favor..
• Two Drawers • Wood Knobs • 29H x 22W x 22DOptional brass bail pull handles av..
End TableWhen looking for sleek and simple lines, Pacific Home Furniture Urban End Table is the ..